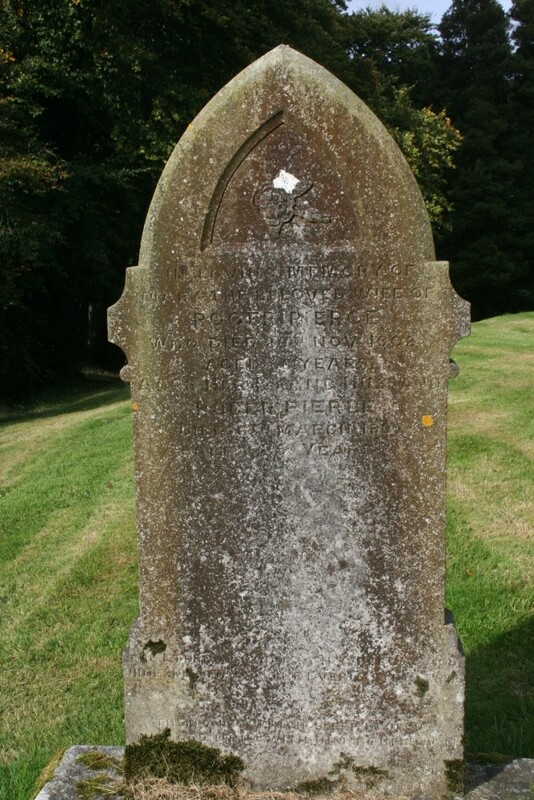 In loving memory of Mary the beloved wife of Roger Pierce who died 26th Nov. 1902 aged 68 years. 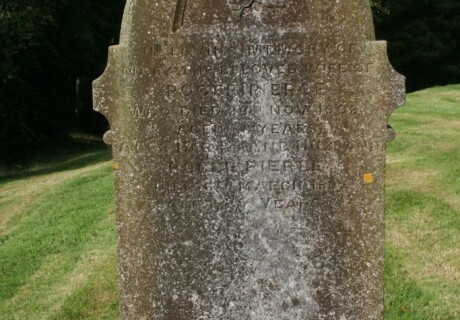 Also her loving husband Roger Pierce died 6th March 1907 aged 85 years. 'The eternal God is thy refuge and underneath are the everlasting arms. Them also which sleep in Jesus will God bring with him. 1 Thess IV , 14.